Moving from full-time employee for someone else to your own boss takes a lot of hard work, planning, financial savings and a passion in the type of business you want to run. With small business being so critical to our country’s success, it is more important than ever to have access to a resource with proven solutions. 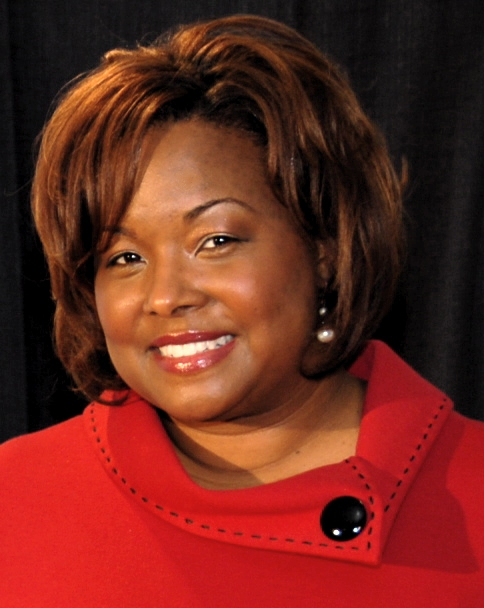 One such resource is Melinda Emerson, better known to many as ‘Small Biz Lady.’ Melinda continues to grow as a successful business owner and is committed to helping others who desire to achieve the same success by making it her mission to end small business failure. In part two of my interview, ‘Small Biz Lady’ gets down to the tips that she offers those ready to make their life’s plan a way of making ends meet on an annual basis. Gillean Smith:You mentioned that you started your own business and started having people ask you questions about starting their own businesses. Were you surprised that people came to you for advice? Small Biz Lady: No, I think people who are not in business think entrepreneurship is glamorous and fun. They don’t see all the hours, sacrifice and hard work. Running a small business is like being a swan. Swans appear beautiful and graceful above the water, but under the water they are paddling furiously to stay afloat. Many people currently working a traditional job hate what they do for a living, and think that entrepreneurship is a good next option. Gillean Smith:What initial advice did you offer? Then I realized that I needed to give them a path to scale back their lifestyle so that they could start a business. So I create my special report. “44 Things To Do Before You Go Into Business,” which I give away free on my website http://www.succeedasyourownboss.com If you request the free chapter of my book, “Become Your Own Boss in 12 Months,” you can get the special report as an added bonus. Gillean Smith:A new business owner should not expect to break even or make any profits for some time. How long did it take you? Small Biz Lady: Actually it takes 18-36 months just to break even. It was between year three and four when I started making real money in my business. Gillean Smith:To many, this would be a great time to celebrate, within reason. What did you do with your first significant earnings? Small Biz Lady: I purchased a minivan and then I put the rest right back into the business. Gillean Smith:You have a goal in business. What is it? Small Biz Lady: My mission is to end small business failure. I want to be America’s #1 Small Business Expert! I want to have the opportunity to help small business owners daily through the web, TV, radio and writing more books. Gillean Smith: How are you measuring your success? And how have you done so far? Small Biz Lady: I have a professional bucket list for myself, and I am proud to say that most of the boxes are checked. I am not emotional attached to anything but my family. I measure my success by my ability to spend time with them and by having the resources to do special things for them. I once measured success by revenues, but that’s a very shallow way to live. I now measure success by profits and time. And time is really the most valuable currency. The better your business is doing the more time you can control. Gillean Smith: That’s a very powerful statement. Is this what you would recommend others use to measure their own success in business? Small Biz Lady: Yes. I would recommend it. As business people, profits are how we keep score. So I’m not trying to suggest that businesses should not be focused on the bottom line. But I think people need to always remember why they work so hard. They should not lose perspective. Many business owners, and I was once this way, think their business is who they are. That is the wrong perspective. Your business is just what you do for a living. How do you live? Who do you love? What makes you laugh? What do you need to learn? The answers to these questions should always be the focus. This way, when the chips are down you can figure out how to get back up. When my son comes and tells me, “I love you, Mommy,” that gives me the strength some days to stand up, put my cape on and go be the “SmallBizLady” once more. Gillean Smith: A successful business must be run by someone who has a passion for what he or she is doing. Where do you draw your passion from to help others? Small Biz Lady: I think my passion comes from just my desire to end small business failure and the fact that everyone has good ideas. It’s the business of running a business that is actually killing many businesses today. People have no idea what they don’t know about running a successful and sustainable small business. Gillean Smith: How can someone best utilize what you have to offer? In other words, how should someone get connected with you via blogs, Twitter and such? Gillean Smith: You offer a LIVE Twitter chat called #Smallbizchat every Wed 8-9pm EST for emerging and existing small business owners. How can those interested follow this chat? Small Biz Lady: #SmallBizChat is a weekly conversation where small business owners can get answers to their questions. The focus of #Smallbizchat is to end small business failure by helping participants succeed as your own boss. http://succeedasyourownboss.com/what-is-smallbizchat/ You must have a twitter account to participate in the chat. If they don’t use twitter I also post a Q&A from every show on my blog every Thursday morning for all the non Twitter folks out there. Gillean Smith: Finally, people interested in starting a business are many. What advice would you offer to someone contemplating whether they are truly ready to go the distance? And with all of the information you have available, what is the best place for someone to start? Small Biz Lady: My book, Become Your Own Boss in 12 Months, is based on a month-by-month planning system for how to transition from a job to small business ownership. I tell would-be entrepreneurs to start with developing a life plan first. You need a life plan before you ever write a business plan. It’s important to figure out what you want out of life and then build a business around that. The fourth step is developing a marketing plan. You must determine who’s going to buy and why. It is important to know how you will stand out in marketplace. Then the fifth step is writing the business plan, which I suggest start with business plan software and then take a course at the local community college, small business development center or a local SCORE chapter. Then finally it’s time to start the business. The best way to start a business once you’ve done your research, is to start while working your job. You should put effort into the business working evenings and weekends until the business hits breakeven. I believe you should do both your paycheck job and your business until it hurts. I also have a workbook and 9-week course developed to supplement the book, “Are you ready to become your own boss?” This is the go/no-go decision guide to starting a small business. This fall, some colleges will be offering my course as a pre-requisite to their business plan courses. Gillean Smith: If someone wishes to ask you about a more specific business topic, how should he or she contact you? Gillean Smith: One final thought? Small Biz Lady: I want people to understand what is really involved is running a successful small business. Some days you will win and some days you will learn. Both are important. Both ways can lead to success. Just remember to plan the business and then work the plan. For Part One of My Two-Part Interview: “Small Biz Lady” shares her secrets to becoming a successful business owner. Though millions of Americans are still without a job, there are still plenty of others who are not happy in their current positions at work. Some may not like the job, their co-workers, their boss, the lack of challenge on the job, too much stress or have any number of reasons why they wish they could work somewhere else. But have you ever thought about being your own boss and owning your own business? When I had the chance to speak with the ‘Small Biz Lady’ she made it clear that thinking about owning your own business compared to spending the time planning and preparing to be your own boss is far less glamorous and much more stressful than anyone could ever imagine. As Melinda explains, it’s all about knowing what you want, planning the way to get there and working the plan. Gillean Smith: Melinda, when you were young, what did you want to be when you grew up? Small Biz Lady: I wanted to be a journalist since I was in 8th grade. Small Biz Lady: I really enjoyed expressing myself through writing and eventually I gravitated to the school newspaper and I was hooked. Gillean Smith: Who were your favorite journalists or reporters? Small Biz Lady: I loved Tom Brokaw from NBC News, Bernard Shaw from CNN, and William Raspberry from The Washington Post. I especially loved reading Raspberry’s op-ed pieces. I loved Carl T. Rowan, too for his Rowan Report on the radio each morning. Oprah Winfrey was always tops with me as well. Gillean Smith: Were these your favorite journalists and reporters as a high school student? Small Biz Lady: I would say high school and college. I also did a lot of research and writing on Max Robinson in undergrad as well. Gillean Smith:You sound like you were focused on a career at an early age. Many in high school or even college find it hard to figure out what they aspire to become. How did you know that your interest was really a serious career path you were going to follow? Small Biz Lady: My parents really encouraged my writing ability so it was an easy choice for me. I did internships in high school with a local radio station and American Urban Radio Networks. I learned a lot about storytelling in the news department. I also participated in the National Association of Black Journalists summer camp in Pittsburgh for kids interested in journalism careers. I also read the newspaper often as a kid, so I realized that people had careers as professional writers. Gillean Smith:That’s quite impressive. Do you feel this paid off when you got your first full-time job out of school? Small Biz Lady: Oh yeah, it definitely helped in college because I knew going into college what I needed to do in college to get a job. I came out of college with three major internships. I worked for Weekend Today Show in New York, ABC News in London, England and CBS Evening News in Washington, DC. I am told that my first job as an associate producer at WPXI- TV in Pittsburgh was the best job of anyone my graduating class. Gillean Smith: It’s often been said that writing down one’s goals can often lead to seeing them fulfilled. Did you write down yours? Small Biz Lady: Sure. I have a life plan and a vision board. Gillean Smith: What is a vision board? Small Biz Lady: It’s homemade artwork that represents your big picture vision for your life. It should be a poster of what your best day looks like five years from the day you create it. Gillean Smith: Where did you find out about a vision board? Small Biz Lady: We’ll a few places. I had a business coach Marquesa Pettway years ago who first told me about it and made me do one. Then I came across a book by author Joyce Schwarz who wrote The Vision Board; The Secret to an Extraordinary Life. I believe these documents are so important for keeping yourself motivate. You must always remember who you are and why you do what you do. Gillean Smith: How did you move from a TV producer to owning your own business? Small Biz Lady: When I was in college Oprah Winfrey started HARPO Studios and I thought it was so amazing. I knew that one day I could to start my own business. But I knew that I needed to learn the business first and that’s just what I did for six years in the television industry. Then I started my first company Quintessence Multimedia in 1999. Gillean Smith: What products and/or services did you offer? Small Biz Lady: Quintessence Multimedia provides Social Media Strategy, Video Production, Web Development, and Multimedia Content Development. Through my company, MFE Consulting LLC, I am a professional speaker and I provide business coaching, marketing consulting, and professional writing and blogging services. I also develop training materials and courses for entrepreneurs. Gillean Smith: Did you run this alone or did you hire staff? Small Biz Lady: I ran my first business as a solopreneur. For the first two years, I worked out of my house. Then I won a business plan competition which earned me free office space for one year and $20K in prize money. At that time, I hired two part-time staff prople, but I mostly used freelance employees. From there, I rented professional office space, and I hired more part-time and full-time staff. Gillean Smith: It sounds as if your business was successful to the point where you had to hire staff. Were you at all fearful of failing as a first-time business owner? Small Biz Lady: I think once a day I feared failing, but I also knew that running my business was what I really wanted to do. I made myself a student of small business so I could remove the fear. I knew going back to get another job was not an option. Gillean Smith: Why is that? Small Biz Lady: I think some people just know they are not meant for office politics and bureaucratic environments. I am one of these people. Gillean Smith: Many people may feel the same way. But starting one’s own business seems an out of reach task as well. How did you go about moving from working for someone else to beginning to become a business owner? 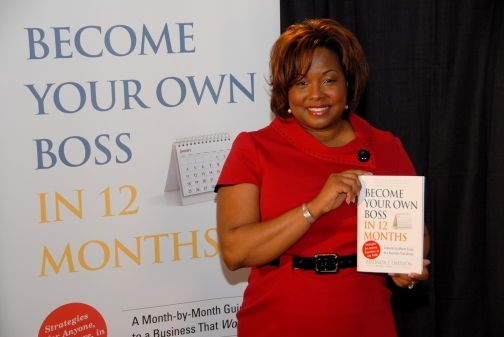 Small Biz Lady: In my book, Become Your Own Boss in 12 Months, I tell people to start with developing a life plan first. You need a life plan before you ever write a business plan. It’s important to figure out what you want out of life and then build a business around that. Then you need a financial plan, so that you can determine if you can afford to become an entrepreneur. Then you need to validate your business concept and examine what skills you have and need to run your business. Then you must develop a marketing plan and determining who’s going to buy and why. Then I walk them through writing the business plan and then starting the business, which I think should be done while still working a job. You should do both until it hurts. Who needs sleep anyway? Gillean Smith: Is the advice you offer in your book exactly what you followed to begin your business? Small Biz Lady: Yes and no. I only planned six months before I started my first business. I definitely followed my financial planning advice in the book. I also validated my business idea, assembled a kitchen cabinet of advisors and I had a detailed marketing plan and business plan before I started my business. Based on my 12 years of experience, I believe the longer you plan, the more research you do, and the more money you save, the more likely you are to succeed in business. The challenge with starting a business without a plan is with that approach you will learn plenty of lessons the hard way, and that can be expensive. If you live by a budget, have your debt under control, and have a significant amount of savings, you will be able to start your business much sooner rather than later. In part two of my two-part interview, find out how Melinda put her plan into action to attain her goal as a successful businesswoman and what tools she offers that can help you get started in owning your own business.